The disability community has witnessed with much concern the return of eugenics in New Zealand under the guise of prenatal health care, reproductive choice and human rights. 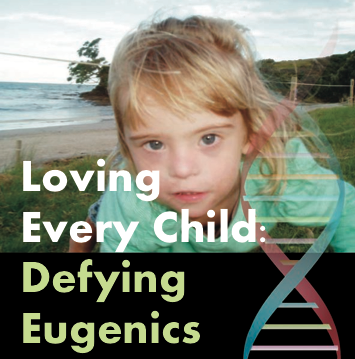 In response to this Family Life International NZ and SavingDowns are holding a one-day seminar “Loving Every Child: Defying Eugenics”. This will be an opportunity to learn about the history of eugenics and its recent emergence into New Zealand society through birth prevention, which is being particularly targeted towards the Down syndrome community. The seminar will be looking to raise awareness around the issue and to map out a response towards restoring respect and dignity towards the Down syndrome and wider disability communities.